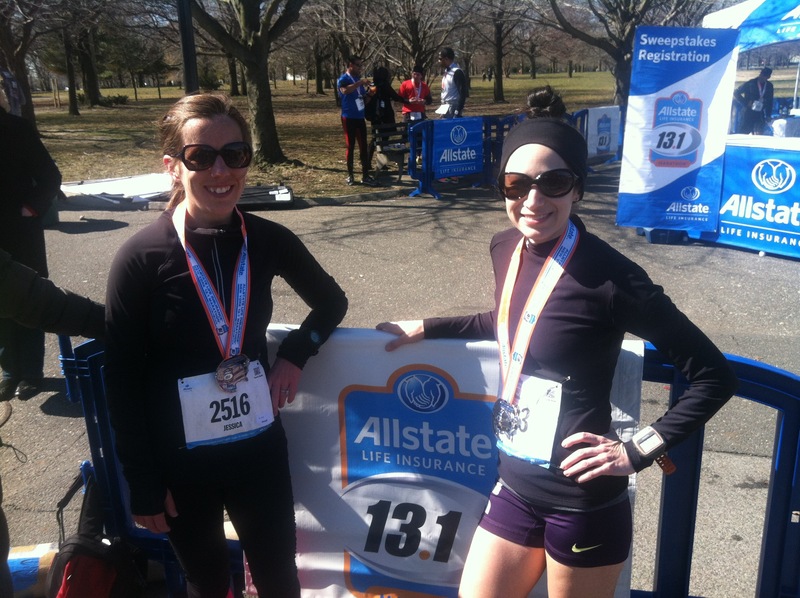 Such was the Allstate 13.1 New York: training under unfavorable conditions. 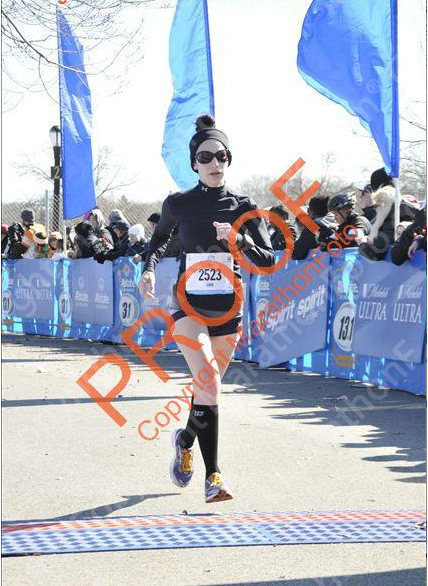 From the confusing course to the weather, this run became a test in pushing through when all I wanted to do was go home. 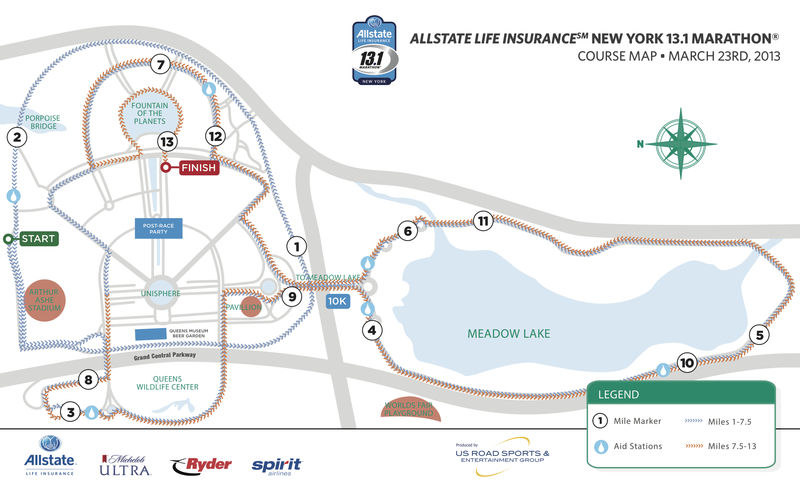 My intent for this half marathon was to run at goal marathon pace as prep for Eugene. Jess and I agreed to pace together with a target range of 8:00 – 8:15 minutes per mile. Since there were no pace-based start corrals, we lined up toward the front but not so close to the front runners. However, we were immediately entangled in a crush of people running a range of paces from the beginning. We did a lot of weaving in order to get space and settle in. The run started off under frustrating conditions. The course itself was convoluted. The map showed a confusing path of continuous, disorienting loops around the park. A few people who’d run this before reassured the course made more sense once actually running it. This was true in the sense we always knew which path to use and which direction to run. But, I felt I never fully got a grasp of where I was along the course. I spotted later mile markers early on, so knew we would be passing certain spots more than once. But coming and going, I couldn’t necessarily tell who was ahead of us or who was behind. Course conditions were also wanting. Majority of the roads were littered with numerous potholes. I hit the edge of one and felt my ankle twist. Certain sections were also flooded with muddy puddles. One part in particular was so flooded that runners were rerouted up over a curb and through the sodden, mucky lawn. Not ideal when you’re trying to keep a steady pace. The worst of it was the near-constant headwind. Understandably, this is beyond anyone’s control. It simply added to the misery. As we wound around the lake, the headwind was so strong (noted: 26 miles per hour) that the effort to maintain pace was ridiculously tiring. It almost felt as if we were being pushed backward. You get the idea. Cranky and negative. Thankfully Jess and I were on the same page, so we commiserated and stuck by each other. And the few moments of course support from strangers, and especially a friend, made it bearable. 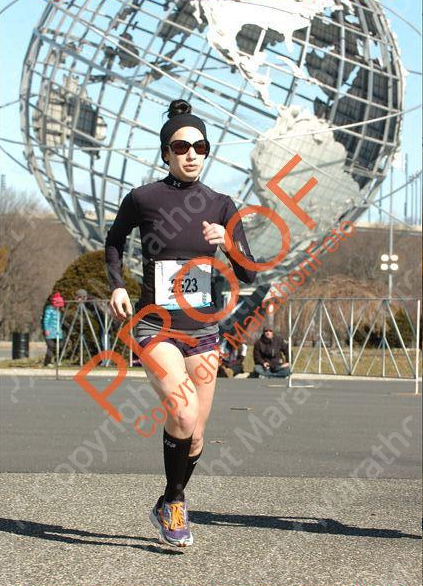 When we finally made it to mile 10, I remember thinking, “It’s just one foot in front of the other. Easy as that.” Despite all the grumbling, we ran this just under our target pace range. Success! In the end, this run was a valuable experience in pushing through when all I wanted to do was stop. It served its purpose, and perhaps a more crucial one than practicing pace. When it counted, Jess and I buckled down and rode it out to the end: the silver lining. Great job! What a miserable day for a race but you rocked it! Running with a buddy makes such a huge difference. The mental part of training…way to fight through and holy crap, nice pace. You will be ready for anything in Eugene!